That’s my motto when it comes to cooking. If it takes too long, calls for too many ingredients, or has something that’s not good for me or my family, I simply don’t make it. I guess I never fancied myself as a professional chef who has a luxury to play with complex ingredients. Maybe it’s a good thing, ’cause I’m not. I’m a homegrown cook that make food that’s simple, easy and healthy. And what can be simpler than a one-ingredient dish? We, Russians, love potatoes. It’s in our blood. But Americans are not too far behind with their spud loving. I made more than my share of roasted fries, potato soups and potato salads for hubby to know this. And lets not forget about American fascination with french fries. 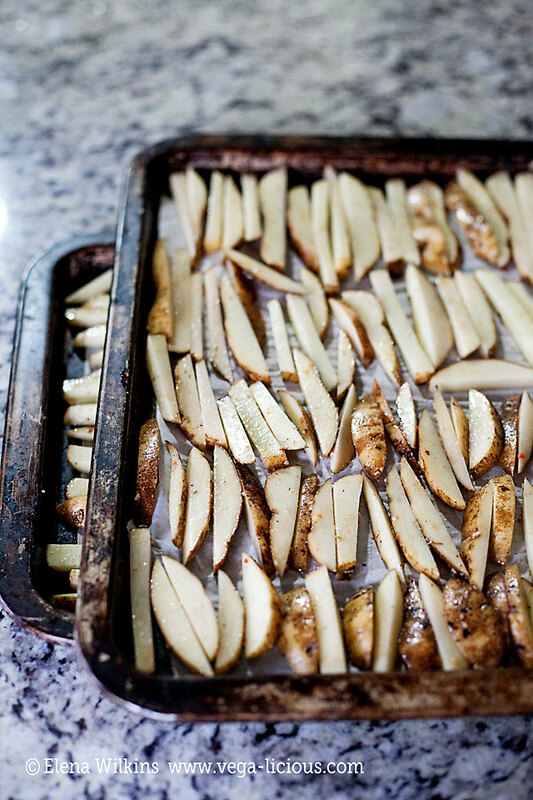 Do you know that some Americans consider eating french fries as having a serving of vegetables for the day? 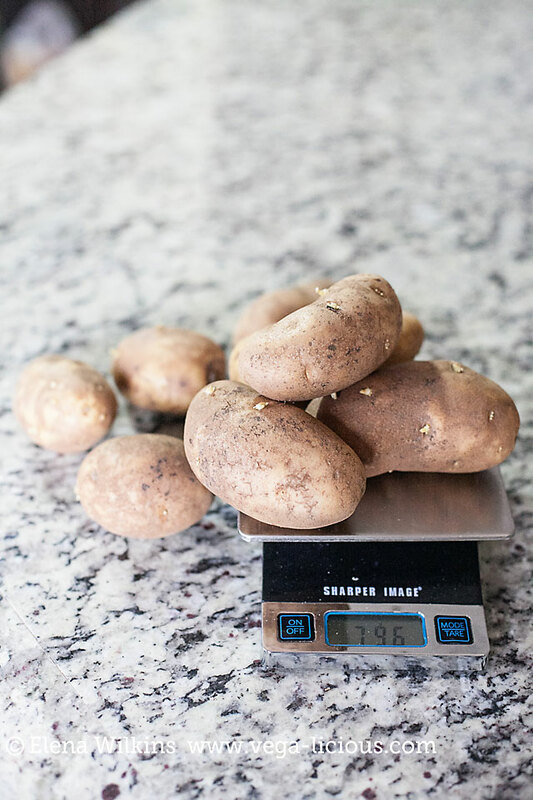 And while, technically potatoes are vegetables, once dunked into a vat of oil, deep fried and slathered with salt, they could hardly be considered healthy…or a vegetable. Might as well have a bag of chips and call that a serving of vegetables for the day. Right? But you know how it goes here–we have to take our favorite junk food and make it healthy! Why let a good thing stay having a bad reputation? So, I rescued the spud and made french fries into a real healthy serving of vegetable you can feel good about, and enjoy. 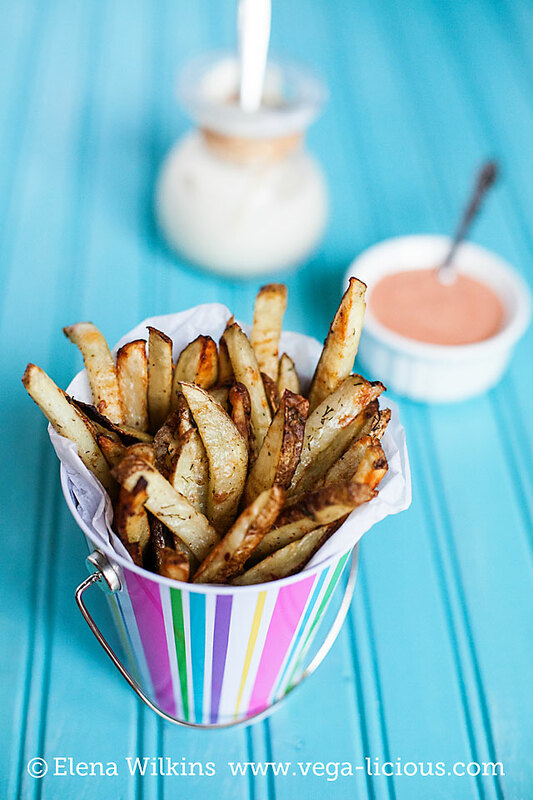 Needless to say–hubby and Sprout are eternally grateful and now regularly order their guilt and fat free homemade french fries on a regular basis. I know that your family will enjoy this simple recipe too. 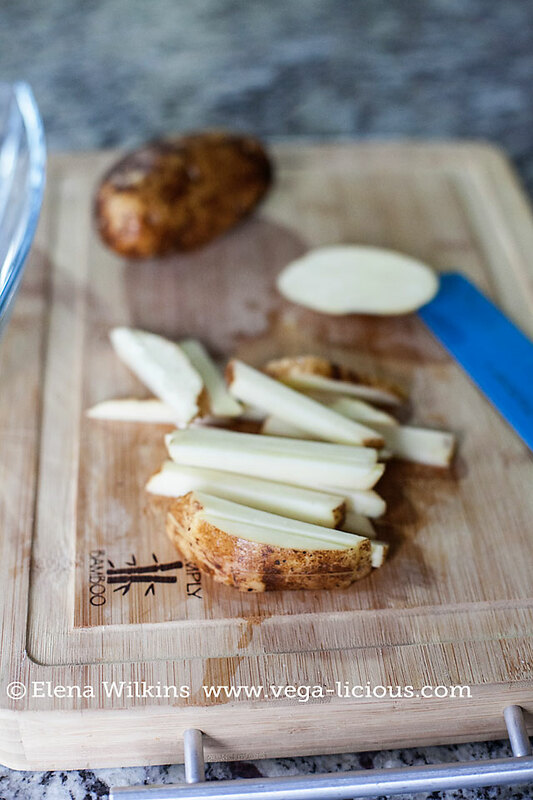 The best part–it takes very little prep time, and can make for a great dinner, especially when served with a glass of your favorite green smoothie, or green salad. 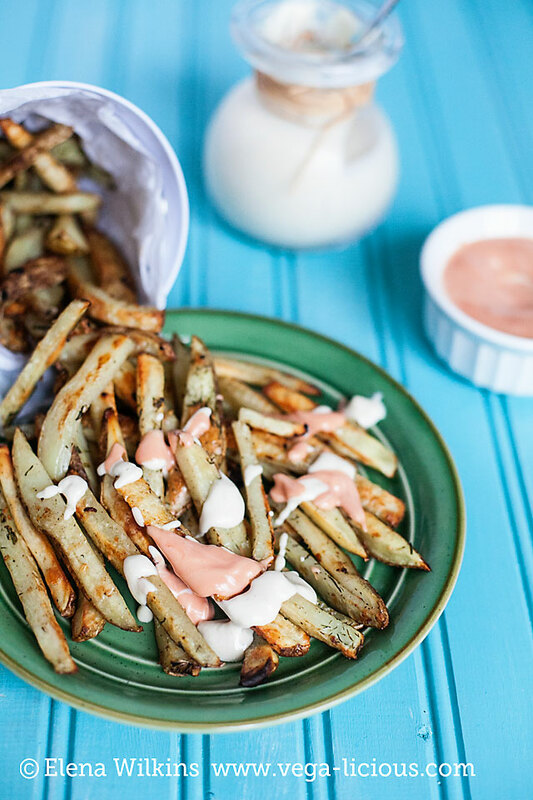 We enjoy our fries with our regular french fry dipping sauce, and as of this week, with our new favorite–onion cashew cream (I will share the recipe tomorrow). A healthy spin on American favorite guilty treat. 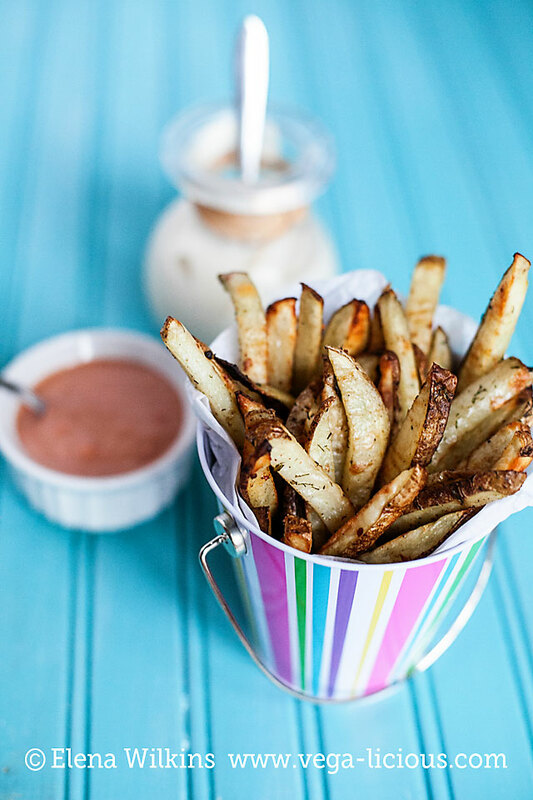 Now eating french fries can be something you feel good about.